Corbeau Harnesses - 2-Point Lap Belt UNKNOWN - Dezod Motorsports Inc - Home of the automotive performance enthusiast since 2002. 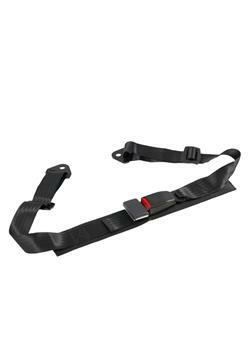 Corbeau 2 inch lap belts are ideal for those who don’t want to run harness belts. Perfect for bench seats or front seats that aren’t harness compatible. Lap belts are very popular in off road vehicles such as the Yamaha® Rhino or classic vehicles such as the Cobra Kit Car. Lap belts are available in black, bolt-in only.